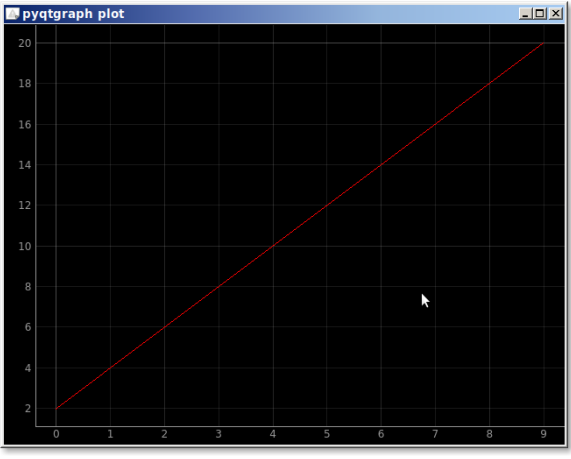 A simple plot can be created with the module pyqtgraph. Mind you, it’s one of the libraries for plotting, there are others like matplotlib. 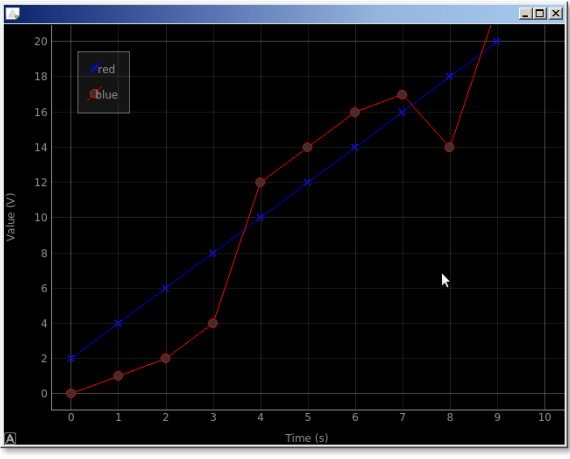 We start with importing pyqtgraph and defing the plotting data (x and y). Then we plot the data using pg.plot(). The example below creates a plot using pyqtgraph. ## Start Qt event loop. We can set additional properties of the chart like the labels, add a legend, the colors.